Hand Made Pottery. Shop Ours or Create It Yourself. 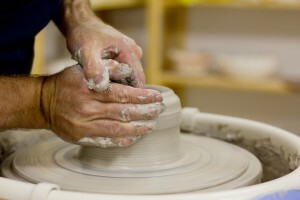 Looking for a great place to take a pottery class in Charleston, West Virginia? A place to buy quality clay without outrageous shipping charges? Simply looking for someone to fire your work for you? Capitol Clay Arts Company is this and so much more! Located in South Charleston, West Virginia, we offer pottery classes for adults, plus supplies and equipment, a gallery of finished work and more. Please browse our site to learn more and check back often for new news–about Capitol Clay and the clay community in general.